3 days guiding by qualified mountain leaders. We'll pick you up from the airport and take you back. This trip is possible between mid/end June and mid September. Many years experience in providing these courses. You need to be pretty fit and have a head for heights. There is a lower level route starting and finishing in the same locations for those who want similar scenery but less height! History and stunning scenery - all rolled into one! We have chosen the route based on scenic splendour (which would not have been their main priority) and feasibility. It takes in some of, if not the, best scenery in the Pyrenees, experiences two cultures and finishes in the absolutely stunning Ordesa national park in Spain. Definitely a trip to remember! This trip has three walking days and a travel out day and a travel back day. We can run this trip over a long weekend, Thursday to Monday or on any days to suit your group within the 'weather window' mid/end June - mid September. Day 1: Arrive in France (arrival airport to be decided with the group but Lourdes/Toulouse/Biarritz are the locations you need) and transfer to Gavarnie. Day 2: Climb up into the national park passing through the amazing view of the cirque de Gavarnie, staying at the Refuge des Sarradets (2587m). Day 3: With an early start we climb up and through the Brecha del Rolando (pass) at 2807m across the plateau to the Goriz hut. Overnight at this hut overlooking the stunning Ordesa Gorge. Day 4: Today we walk out of the Ordesa Gorge. There are two options - one a high level traverse with some exposure. The other a descent through the gorge which has a short section of iron chains and steps to negotiate. We descend down to the Valle de Ordesa and once we've had a well earned drink we move out the park to Torla for the last night in a hotel bed and a celebratory meal. Day 5: Transfer to departure airport (usually Zaragoza) and depart for the UK. There are two standard variations possible to the above itinerary. 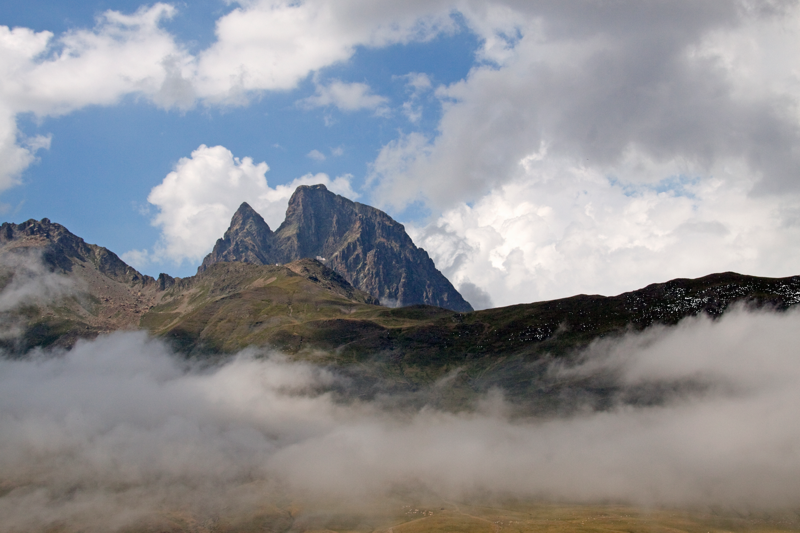 One is to include an ascent of Mt Perdido, at 3355m the third highest mountain in the Pyrenees. This would be an additional day to be included after day 3, thus extending the trip by one day. Alternatively there is a lower level route starting and finishing in the same places but avoiding the higher and more technical elements of the walk. 2 nights accommodation bed and breakfast in comfortable hotels. Single rooms are available at a supplement. 2 nights hut accommodation half board. Luggage transfers between start and end accommodations.